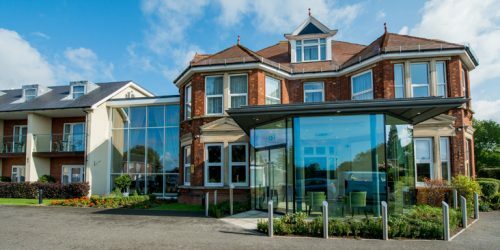 The Luxury Collection Hotels & Resorts has announced that The Langley, a Luxury Collection Hotel, will open in summer 2018 in the heart of the Buckinghamshire countryside. The Langley will join a growing ensemble of over 100 Luxury Collection hotels and resorts around the world. 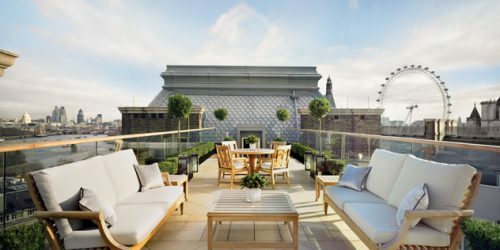 Owned and managed by City & Country Hotels Ltd., The Langley is the sister hotel to The Wellesley Knightsbridge, a Luxury Collection Hotel, London which overlooks Hyde Park. Located in the Langley Park estate, a 40-minute drive from the heart of London, The Langley is an exquisite 41-room boutique hotel and 25,000 square-foot spa set within 500 acres of idyllic Buckinghamshire countryside. The hotel is comprised of two buildings, a historic mansion that was once the former estate of the Duke of Marlborough and a Grade II-listed 18th century building that was formerly used as a stables and brew house. In partnership with the award-winning interior design company Dennis Irvine Studio, who also created the design concept for The Wellesley and the two Wellesley yachts, the buildings have been undergoing an extensive multi-million-pound renovation over the last four years. Before entering the hotel, guests will take in impeccably landscaped gardens and a beautiful, imposing Lebanon Cedar Tree which is centuries old, both of which are listed by English Heritage. The Grade II-listed gardens were re-designed in the 18th century by Lancelot ‘Capability’ Brown, the renowned landscape architect responsible for changing the face of Britain’s gardens forever. The ornate entrance transports visitors back in time as many of the building’s original features have been re-established, and in keeping with its heritage, imposing doorways and Baroque fireplaces are found throughout the property. The hotel’s interior design carefully balances the history of the building with contemporary luxury while creating a number of distinct and bespoke design features. Guestrooms and suites feature elegant roll-top baths in the centre of the bedrooms with expansive windows framing views of greenery and the open lake. Opposite the entrance of the main hotel, guests will find The Brewhouse – a Grade ll-listed out-building that will house a number of characterful bedrooms where the former owners concocted their own local brew using old-fashioned methods. The Langley is fully equipped with world-class recreational facilities and services. The sprawling 25,000 square foot (approximately 2,000 sq.m.) spa offers eight large treatment rooms, an expansive VIP suite with dip pools, as well as a women’s only thermal area. In partnership with the UK’s leading personal trainer and best-selling fitness author, Matt Roberts, the gym boasts technologically advanced systems and equipment including a Cryotherapy Centre. In addition, Roberts has devised training sessions using the hotel’s landscaped gardens and extensive grounds. For culinary enthusiasts, The Langley will be home to a collection of dining experiences including an intimate bar serving the very finest cognac and cigars as well as a signature restaurant. Afternoon tea will be served in the hotel’s drawing room and back courtyard overlooking the lake. The property’s original Winter Garden has also been refurbished and reconfigured and will offer a luxurious and elegant backdrop for weddings. 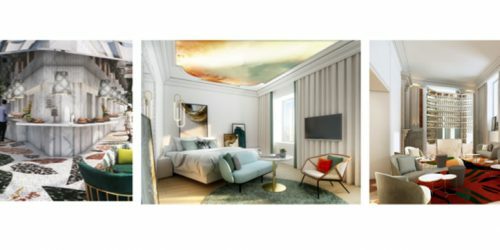 Upon opening, The Langley will be the fourth Luxury Collection property in England, joining its sister hotel The Wellesley Knightsbridge, The Park Tower Knightsbridge and The Westbury in London.